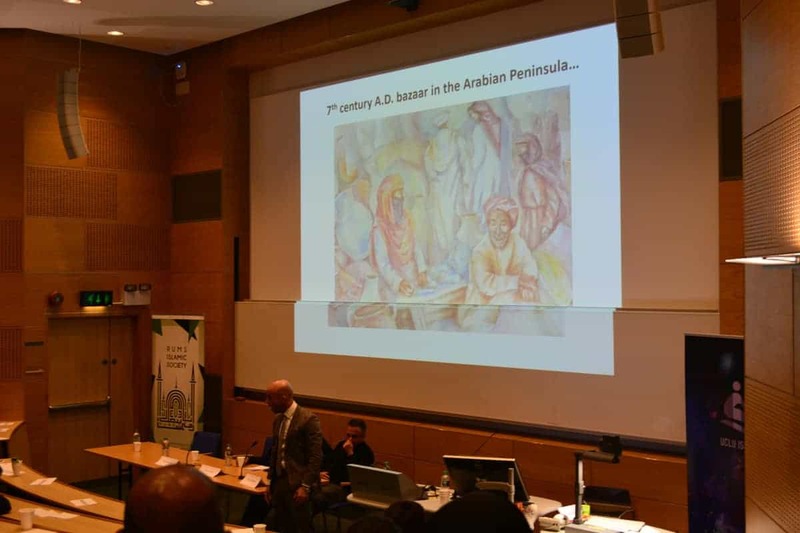 It was titled “Silence begets silence: confronting taboos in mental health & Islam” – and that’s exactly what it did. The whole day, from beginning right through to the end had me fully engaged, that when it finished, I was totally exhausted. Positive exhausted, because my mind was just full of what was said throughout the day, my thoughts and ideas, my own reflective points and points of discussion – and most of all, I think I was brimming with excitement. 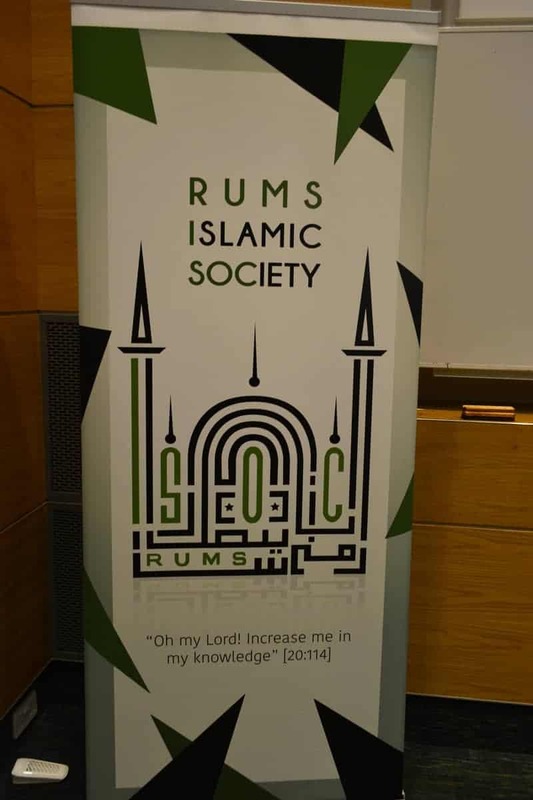 Even though the event was over, I was excited over what the outcome of the day may have brought to society, I was excited to discuss the day with friends and family when I would reach home – and most of all, I’m still excited for RUMS ISoc’s next event – it really was a massive success, mashAllah. My notes are ridiculously long, and as you can imagine – they ended up looking like scribbles half way through the day because there was just so much to write down. Do you blame me? Such a huge variation of topics, and with immense speakers – it’s only asking for a writer’s cramp! So this is my attempt in trying to condense everything, whilst still trying to make sense and give justice to the speakers. I was running late by 15 minutes, but I didn’t think it was a big deal as these things usually run late but me and my friend we’re pleasantly surprised that in fact the event had started on time. 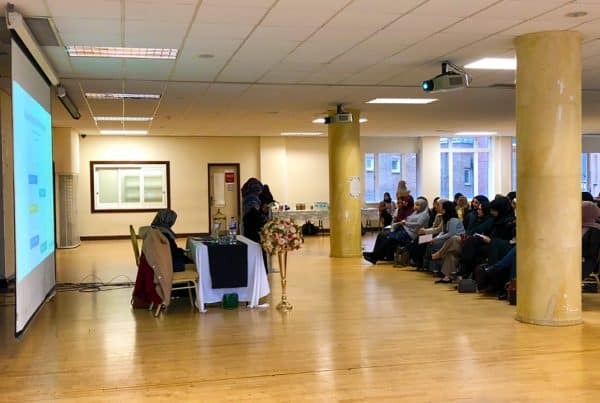 After we were ushered into the spacious and cool room – we saw Farah Ahmad taking the lead by discussing her super interesting research around the existing ideas of mental health and jinn possession/influences in the Muslim community. She mentioned the “Culturation theory” which suggests mental health is affected when there is a culture change, i.e when something contradicts or challenges ones culture in any possible way. However, when one wants to hold on to the culture despite the challenges, they are passed on to the following generations despite it not being a norm. This then causes further contradiction which then leads to neglect of the individual undergoing the cultural conflicts. 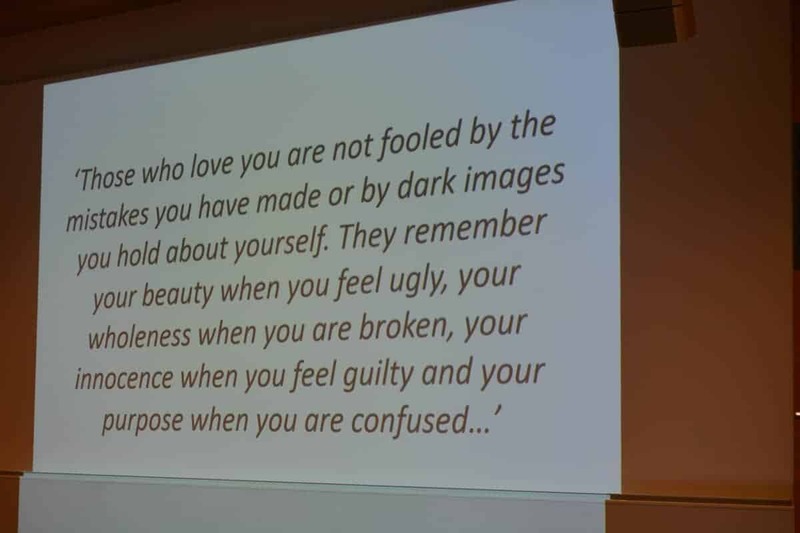 If we apply this theory to many innovated “Islamic cultures” and mental health – we can see when interventions for mental health in the west and in fact Islamic interventions such as Islamic counselling, cognitive/psychotherapies, medication, art therapy etc are different to one’s culture i.e special amulets, visiting of the graves, and “go to raqi’s”. When one holds on to the traditional remedies, without a doubt mental health is affected and possibly worsened, because it’s not receiving the halal and healthy attention needed just because it is a cultural conflict. 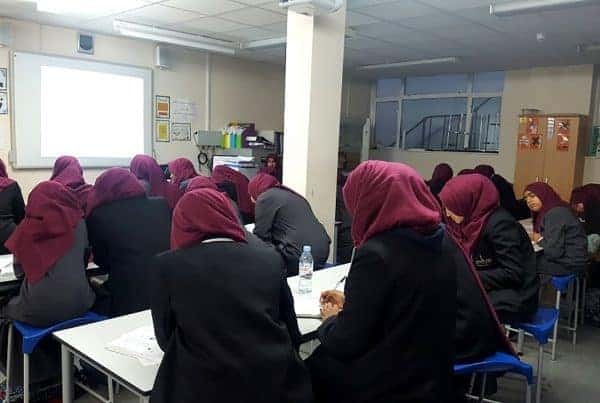 Muslim leaders have a vital role in shaping the views of the British Muslim communities, and their knowledge of mental health is a mix of a number of components such as Islam, culture and what society thinks. 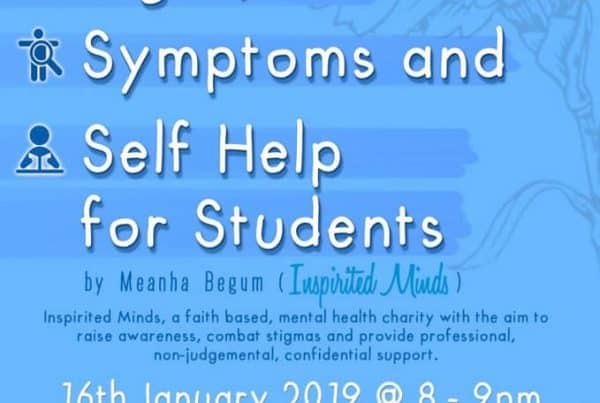 There are a few Muslim leaders who will confidently speak about the issue within an Islamic context, and as the Muslim community tend to believe that Imaam’s are mental health experts even though many disagree, she suggested that imaam’s nationwide should be educated. This will give a positive representation of Mental Health in Islam and will bring around awareness to educate wider society. Abdool Samad Illaiee then took the lead with “If we were to go home and self-harm, or find out on our family members were depressed or schizophrenic, what would we do and how would we think?” The point was, change has to happen from within. Talking about it for an hour, and not changing anything inside ourselves will not create movement for the cause. Abdool Samad who co-wrote “Bringing Spiritual Perspectives into Psychiatric Practice” with Simon Dein suggested that the medical model has no significance when mental health is viewed through a secular vs religious lens, but it should be considered through a socio-cognitive cultural and economic model. Where the individuals background is taken in, and different avenues are explored, with this he mentioned author and psychiatrist Russel Razzaque who wrote a book called “Breaking down is Waking up” which is about spiritual growth and alternative ways of therapy that go beyond just “treating” an illness. 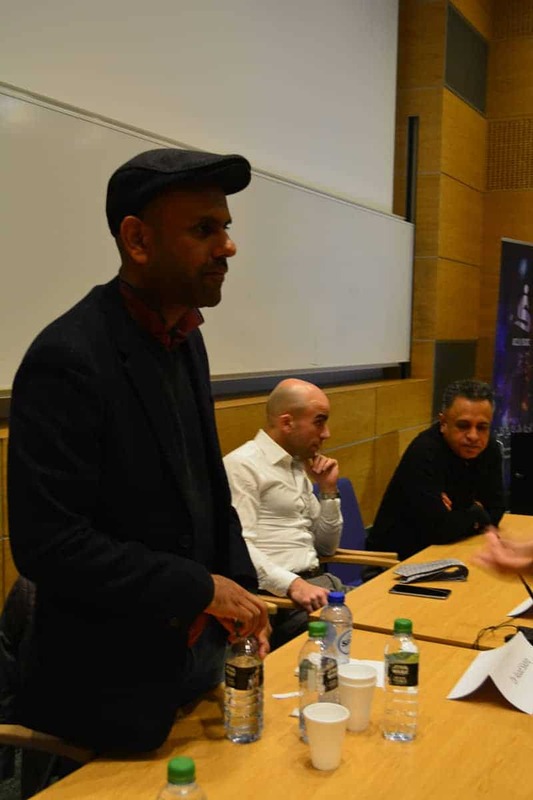 With all of this in mind, Abdool Samad spoke about the ‘Open Dialogue Project’ which maybe what the UK’s mental health care system is exactly what it needs. The project is based on a theoretical/philosophical approach which aims to comprehensively deal with a person going through a mental health crisis in a well-integrated manner by including family, their background, experiences, and as much as possible in their own homes. This approach has currently proved to be very successful in Finland – and we pray that it is massively successful here and brings ease to many experiencing hardships. Sheikh Shams Ad-Duha laid it all out on a table for us when he made things simple with excellent clarity. He took us through the obvious matters of faith where we have to understand that Jinn’s are another creation of Allah – there is a difference of opinion (with given evidence) between, they can only affect us vs they can possess us and affect us i.e black magic, evil eye, and actual possession. He also made it clear that mental health is observed and considered in Islam as within the Sharia there are rules and laws for those who are of not a sound mind – i.e who don’t have full mental capacity to make their own decisions etc and this is referred to as Junoon which has several meanings that change depending upon the context but is usually used for ‘mania/insanity’. The Sheikh then gave very firm advice on how to go about Ruqya and being able to spot malpractice, i.e a Raqi who says “This is definitely a jinn possession, it will cost this much and you cannot go to anyone else or seek any other form of help” – is most probably a false Raqi. If you do stumble across one of these, then you should stop all connections and find a Raqi who encourages you to have Ruqya as well as specialist mental health care as both therapies should be concurrent. It’s also important to remember that Ruqya isn’t just exorcism rather it is used to give shifaa to other things in different ways, i.e adhkar, and reciting tasbeeh and blowing over a stomach ache for example. It’s fundamental to know that Ruqya is not as extreme and intrusive that it has been made out to be. After a short break, and much needed coffee to refuel the brain, Joy Clarke, a leading specialist for Female Genital Mutilation (FGM) took us through the different types of FGM and the side effects they can cause. She told us that a staggering 130-140 million have undergone the procedure that is practiced in 29-40 countries worldwide. She emphasised that undergoing FGM has a lot of repercussions including psychological and psychosexual problems, if it is done incorrectly and forcibly. Joy Clarke has set up the Maya centre and the Dahlia Project to help victims of traumatic FGM to come to terms with their ordeal and the outcomes of the procedure. 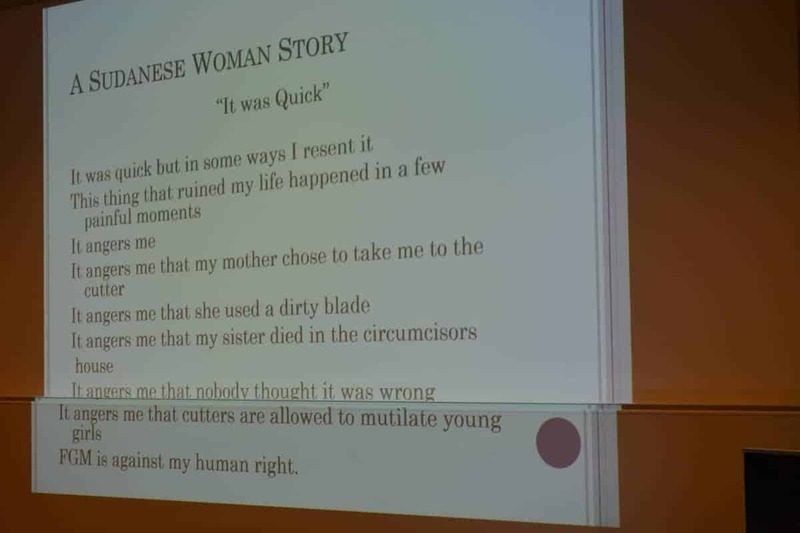 Following this, Huda Ali who experienced FGM when she was younger described it as something that was “celebrated”. She said that the woman was who just a cutter, knew nothing about the human body, as she received no comfort and was just told “be strong for your younger sister, you can’t cry or scream and people will start thinking”, she was grateful that she could afford local anaesthetic and went into detail of what the aftermath was like for her. This included a painful healing process, and many years of going in and out of hospital for a growing “cist” inside of her which was actually a build-up of her menses. She had many operations and after 12 years of no menstruation, she had her first period at 17. Although Joy Clarke and Sister Huda Ali were against FGM completely, Sheikh Shams provided a different approach with evidences from the Quran and Sunnah saying that female genital mutilation is forbidden but circumcision is not and it circumcision a part of Islam but with firm conditions. The Sheikh broke down where and what should happen and emphasised that it should not be done excessively meaning the actual procedure and how often it is done. 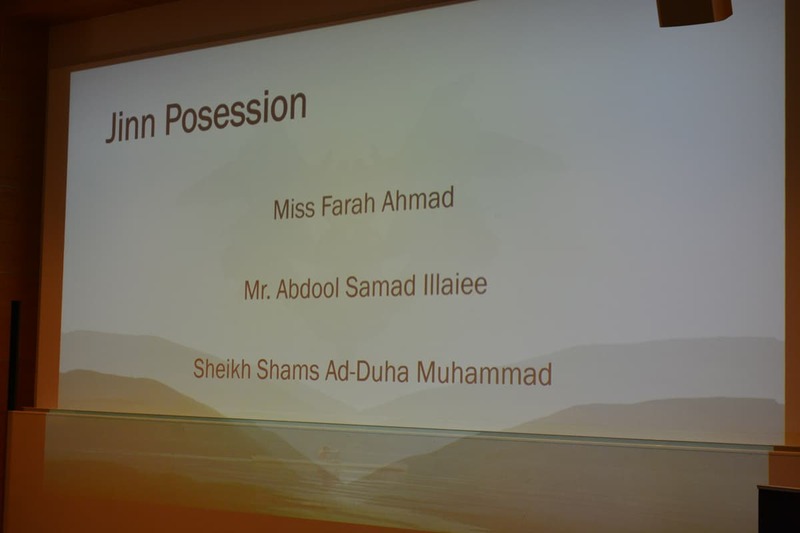 There was a very interesting and heated debate around this, but the underlying message that the sheikh ended with, is that emotions and experience have to be separated from evidence and text, the latter is factual and the other is not. In my own opinion, it is important to emphasise the language here. Whilst FGM refers to actual removal/mutilation and has been conducted often in a harmful, painful and unhygienic way, in Islam it is classed as a circumcision therefore it should be done in a way that will not harm the individual and has strict guidelines that should be adhered to ensure that mental and physical wellbeing is maintained. Thus it is important to know the difference between mutilation and circumcision – one has a lot of fear and stereotype and the other is not known so much. Whilst FGM is completely forbidden in society and mutilation is also forbidden in Islam, circumcision does have its benefits, and I encourage those who are interested to do their own research and find out both sides of the story, including the differences of opinions. 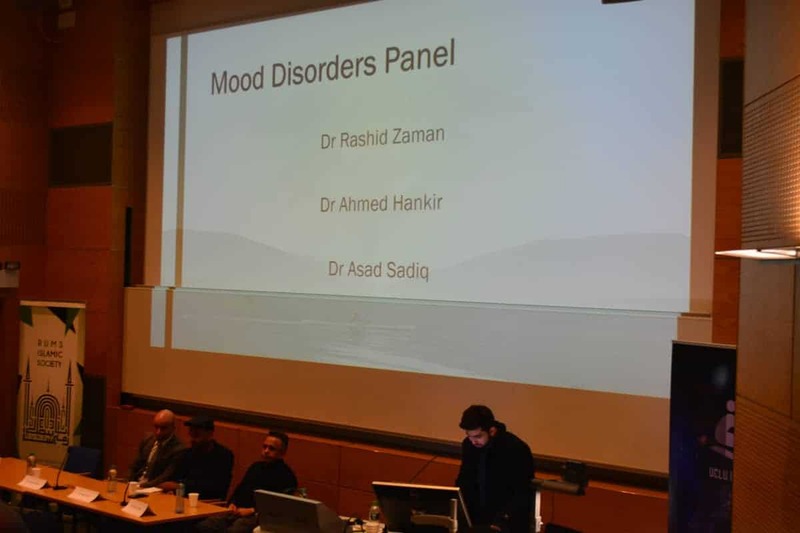 After a great lunch with lots choice and a convenient segregated room to pray, Dr Rashid Zaman started with explaining what Bi-Polar Affective Disorder is. It is a mental illness that alters the thoughts, feelings and behavioural perceptions in an individual, who can also go from mania/hypomania to having very low depressive episodes. There is also a difference between Bi-Polar 1 & 2 and Cyclothymic where an individual persistently cycles in and out of these episodes. He left us with “DIG FAST” which stands for – Distractibility – Indiscretion – Grandiosity – Flight of ideas – Activity increase – Sleep deficit – Talkativeness, in order to help us to see early warning signs in others and ourselves. Dr Ahmad Hankir then seized the stage with an extract from Pulp Fiction which left the audience feeling amused yet confused. He certainly had a different approach to the rest of the panel, but his story, ideas and thoughts were none the less amazing. Dr Hankir fled his own country at the young age of 17 to arrive in the UK to experience nothing but hardship for many years ahead of him. He explained how his family were depending upon him to earn money as well as get an education resulted in him developing Bi-Polar from which he has fully recovered. The developments of his abnormal thought form led him to become a “free thinker” which in turn led him to finish his education, and become a successful doctor, emphasising that mental health, when recognised and treated – will not hold you back from anything. 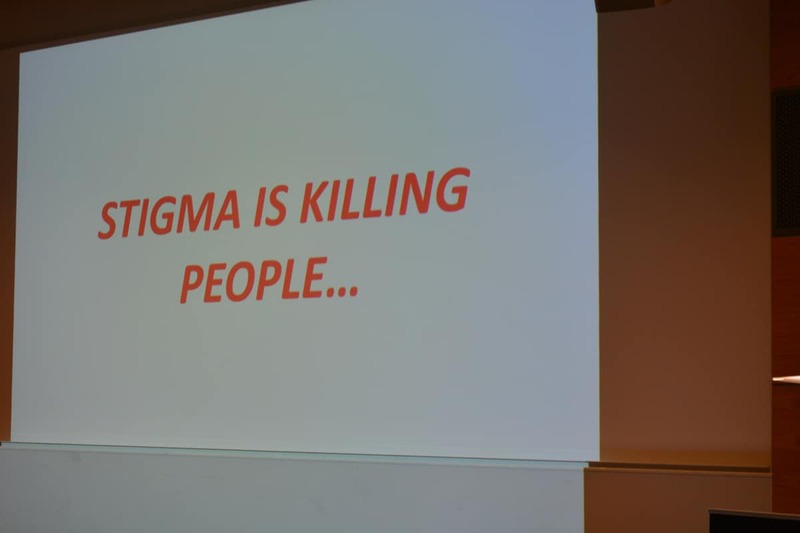 Rather it is the stigma that is worse than the actual mental health problem. 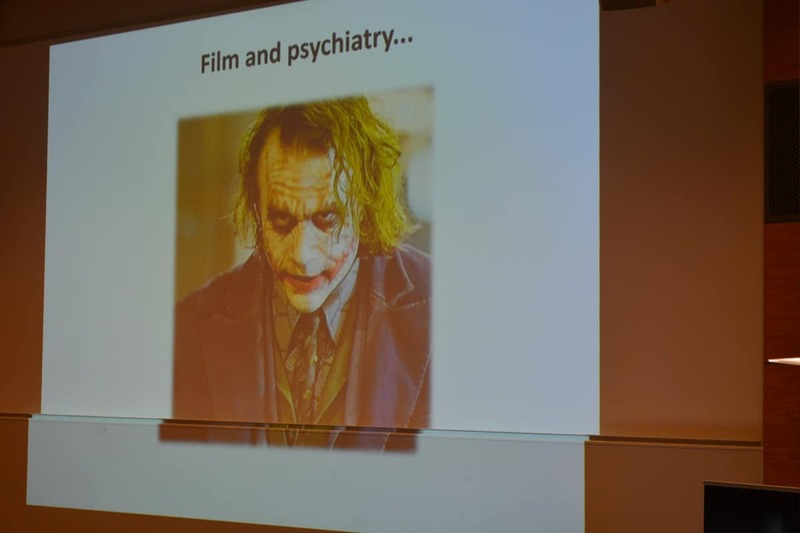 He was very passionate about the association between bi-polar and artistic temperaments, backed by Greek thoughts “If man wants to be a great poet, he must first experience madness” suggesting that there is beauty, skill and life understanding that can come out of one experiencing a mental health problem. 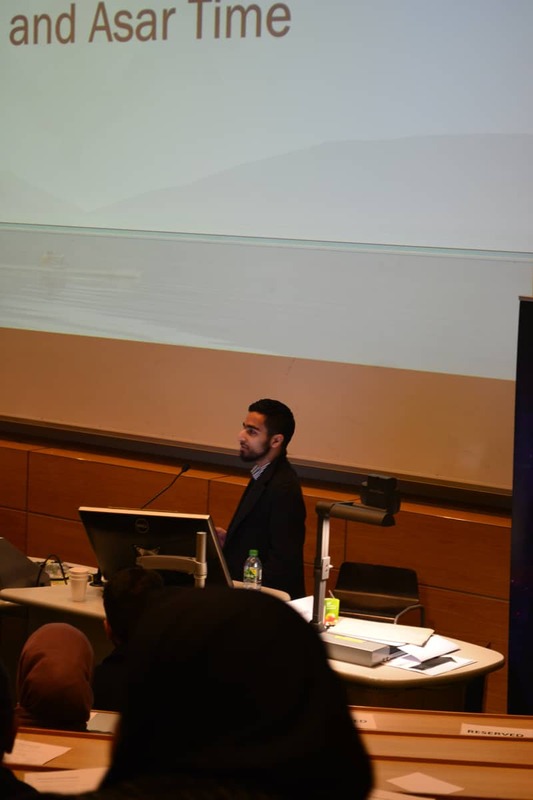 He exclaimed that his success was only due to the Will of Allah, and his passion and motivation to become a doctor, alongside exercise and art therapy – but most importantly, Islam, his parents, and Salah were his anchors in life. “The world is party we’re not invited to” began Dr Asad Sadiq, after short pause, “Am I right?” Of course he was right; he carried on saying that in society everything needs a structure and measure, which is why when someone steps out of these standard structures, they are not invited to the party that “normal” society is celebrating. What the world and society really need is someone to talk to, people who will listen and have complete empathy, because he said that we can never truly know what people are actually feeling – and so the only thing we can do is be with them, in heart and mind. However, to do this, we need to attain a key skill in life, which is to be able to listen, to which he suggested is a hard thing to do! When we do listen, it’s important not to treat the speaker like a patient, even though they may be, we need to view them as humans and they need to feel like humans. 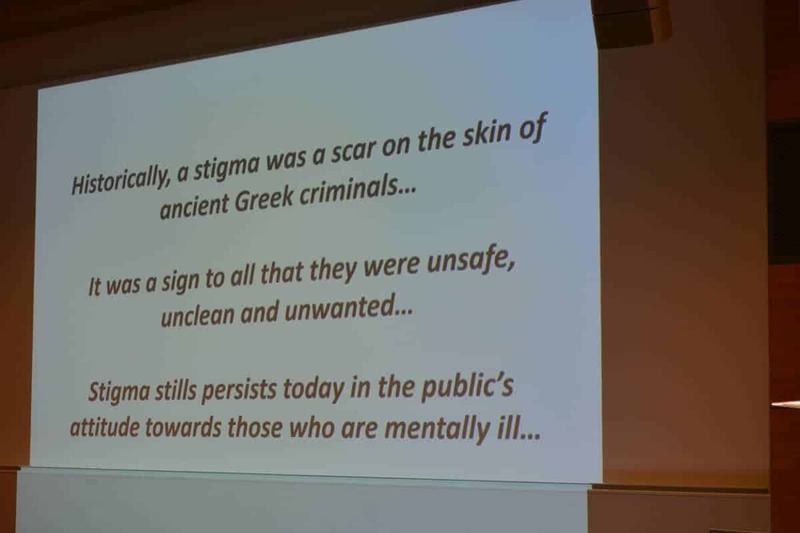 This stemmed from him saying that vulnerable people need to be treated nicely – not only because they are vulnerable, but because we could also become vulnerable within 10 minutes, anything can trigger a mental illness. He described a place that seemed like Jannah (heaven), big mansions, fountains, baskets of fruit and people bringing you breakfast but in fact it was the place of people who were mentally ill at the time of the Abbasid Caliphate (how times have changed), where mental health was valued because those who were ill were seen as truthful, We have to understand that our mind takes us to weird places, and we barely have control of it. Therefore we have to look after ourselves, listen and be there for each other – we must unite as an ummah. May Allah reward all those who were involved immensely and bless the ISoc with Mercy and success, Ameen!